Puzzles help children develop valuable skills through an activity that they enjoy. Here are some of the childhood education benefits your baby can glean from learning puzzles. Obviously, practicing puzzles will make your child better at puzzles. This is a valuable ability because many life long skills require a knack for puzzles- including math, science, reading and writing. 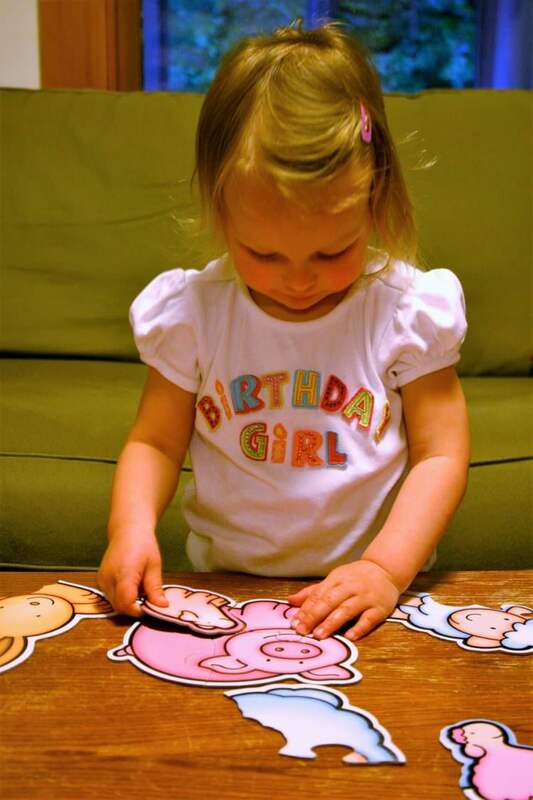 Toddler puzzles challenge your child to use logic and reasoning skills to solve simple and complex problems alike. Many puzzles only have one solution, but puzzles with multiple solutions can help your child think creatively and come up with their own answers. This sort of adaptable thinking can be applied to problems throughout their lives. When your child places a round block into a round hole, they’re learning to recognize shapes. Other puzzles will help them recognize colors, patterns, and other important aspects of the world around them. Being able to sort, recognize, and classify these things is an important part of their cognitive development, or the development of their comprehension and ability to apply knowledge. They will use this to interpret and interact with the world around them. Shape recognition is even an important step towards being able to read. 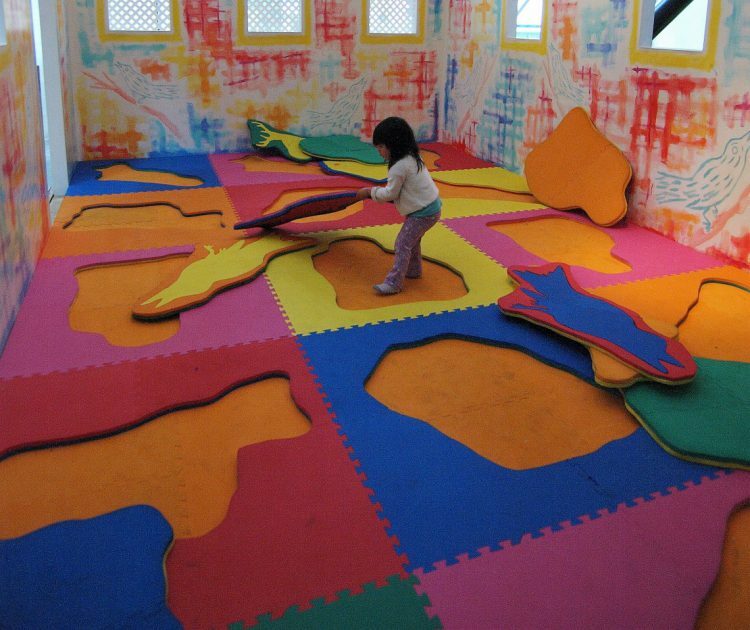 In the beginning, your child will solve puzzles through trial and error. They will need to remember what solutions work and which ones don’t, helping them practice memory. Good memorization skills are an integral part of succeeding in school and in the workplace. When your child engages with a puzzle, it will require them to make appropriate connections between what their eyes are seeing and what their hands are doing. For example, many of the simplest shape puzzles for toddlers require them to understand when and how to use directional force. When removing a peg from a hole they’ll need to pull the peg up and out instead of tugging it forward. This and other aspects of hand-eye coordination are things they’ll need throughout their lives to accomplish tasks like writing, driving, and playing sports. Puzzles are also a great way for your child to develop fine motor skills through grasping and manipulating blocks and other puzzle pieces. Wooden puzzles for toddlers may have small knobs that require pinching motions. Floor puzzles, such as large foam puzzles with jigsaw pieces, may require your child to wedge their fingers in between pieces to remove them. Fine motor skills require small, precise movements and will be integral to your child’s ability to write and manipulate small objects. Interested in learning more about building your child’s fine motor skills? Adam & Mila have an article on the subject. Some puzzles help kids to better learn and understand language. Such games will make children puzzle over the relationships between words and pictures, words and colors, or words and other words. Learning vocabulary skills early can help your children have better mastery over language for the rest of their lives. Puzzles for toddler development come in all shapes and sizes, and teach different skills at different complexities. It can sometimes be difficult to determine what type of puzzle your child is ready for. We hope to help parents like you by presenting you with practical advice for selecting appropriate puzzle games for your child. When you purchase a puzzle for your child, many of them will say on the box what age range the puzzle is appropriate for. 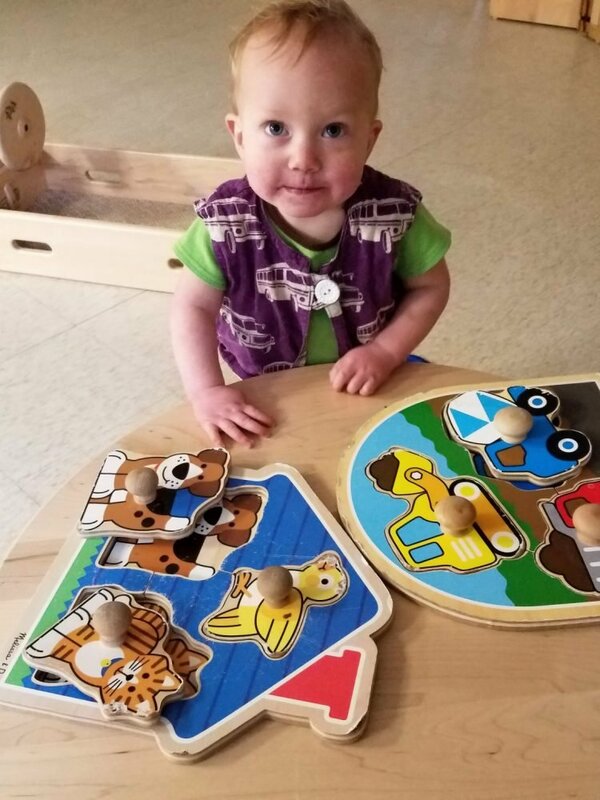 The first puzzles you present to your child should have only a small number of pieces, are often wooden puzzles, and are thick, chunky puzzles with pieces large enough to encourage safety and not be a choking hazard. These baby puzzle games should be relatively simple and will often involve matching shapes or colors. When your child has mastered simpler puzzles, it may be time to make the jump to more complex puzzles. The best puzzles for toddlers will have more pieces and will often have more than one solution for the same problem. They may also involve more complicated shapes and objects of various sizes. When you do make this jump, offer your child help when they get discouraged. This will help them stick with it when it starts getting tough. The great thing about puzzles is that they get your child excited about learning- so choose puzzles that have themes or subjects that are fun for your child. Search for puzzles that contain a favorite animal, character, or food. This can mean the difference between interest in or rejection of educational puzzles, and can even help them learn more about the world around them. Puzzles can sometimes be the best way for children to learn certain concepts, because it allows them to interact with them in a medium that they understand. To observe these milestones, you will need a form board with appropriate matching blocks and holes, a pegboard with round pegs, and a pegboard with square pegs. Understanding these milestones can help you know what stage your child is at in their development, and help you select appropriate activities for them. Development Milestone emerges from age 8 to 12 months. When presented with a pegboard and asked to remove a peg, your child will do so with some effort. They are still learning to pull objects up and out, so it may be a little difficult for them at first. Children learn by imitating, so you may need to demonstrate for your child in order to encourage them to participate. Development Milestone emerges from age 10 to 11 months. The first thing your child will be able to do with the formboard is remove the circular piece. This is easy to remove because it doesn’t have any hard edges. You can encourage them to remove the piece by demonstrating it yourself. Development Milestone emerges from age 11 to 12 months. When given the choice between a circle and a square shaped hole, your child correctly chooses to place the cylinder shaped block into the circle hole. He should be able to complete this task at least twice. He may try to place the block in the square shaped hole, but should immediately realize that it doesn’t fit and place the block in the circular hole. Development Milestone emerges from age 12 to 15 months. When given the choice between a circle, square, and triangle hole on a formboard, the child correctly chooses to place the round piece in the circle hole. Do not demonstrate this for your child, but instead let them examine the places on the formboard before handing them the round block and asking them to place it. Your child may incorrectly place the block at first, but should immediately switch to the round hole upon realizing their mistake. When presented with a pegboard with round pegs placed and others missing, your child should be able to put one or two pegs into the empty holes on the board. Allow them to explore the pegboard a bit before requesting them to place a peg. Development Milestone emerges from age 15 to 21 months. When given the choice between a circle, square, and triangle hole on a formboard, the child correctly chooses to place the square block in the square hole. Hand the child both the circle and the square blocks, and ask them to place them. Allow them time to explore and room to practice trial and error. Development Milestone emerges from age 16 to 19 months. At this point your child should be able to place at least six round pegs in a row into corresponding holes in a pegboard before they start taking pegs out. Show your child a pegboard and a box full of pegs and ask them to place the pegs in the board. You can offer to take turns if this is encouraging for your child. Development Milestone emerges from age 21 to 24 months. When given the choice between a circle, square, and triangle hole on a formboard, the child correctly chooses to place the triangle block in the triangle hole. This time give the child all three blocks. They should be able to place all of the blocks in their proper places without help from an adult. Development Milestone emerges from age 29 to 31 months. At this point your child should be able to place at least six square pegs in a row into corresponding holes in a pegboard before they start taking pegs out. Place a board and a box of pegs in front of the child and ask them to place the pegs inside the board. We hope you enjoyed this article, and that you found useful information that you can apply when playing with developmental puzzles! Your child’s developmental milestones can be exciting, but they can also cause parents a lot of stress if they think their child isn’t meeting them on time. We want to help you relax and enjoy your child’s progress, so we created a helpful guide to developmental delays that explains what’s normal and what’s cause for concern. There are many more exciting developmental milestones to discover with your baby and there are a lot of activities you can do together to foster his development. Find this article helpful? We’d love it if you would share it with your friends! We care deeply for our readers and strive to provide the best information for your family, and we’d love to hear what you’d like to see more of. Comment below to let us know how we’re doing, and what we can do better! Robin Fine Motor Play This is a super simple activity that can help develop kids fine motor skills. 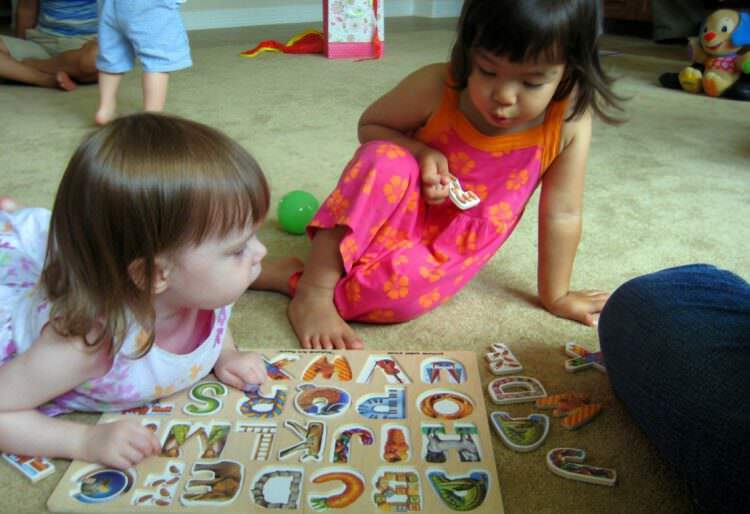 Fine Motor Letter Matching Acitivty A good idea to work on letter recognition with your kids. Develop Fine Motor Skills with Colander Just give the kids a colander and some pipe cleaners. They will be entertained.